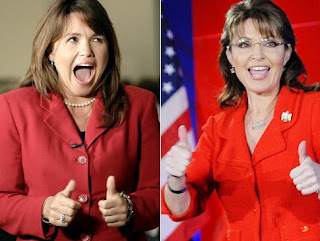 Thank you, Sarah Palin, Tea Bag Party, right wing fanatics! If these people think that the average American is going to allow whackos like these--to lead this country, well, they are dumber than they think. I was not overly enthursed about November this year---until I saw what the opposition is going to be! NO WAY! If it proves that the tea baggers can't get elected in November, many don't really care. They would rather purge the repub party than win. I hope in the coming weeks those voters who are upset that Obama and the Dems didn't get it down in 2 years will realize that if the tea baggers and the repubs gain control, we will have two years of gridlock, government shut down, and endless investigations. Two years of stalmate and continued pain for the American people. Please don't think by not voting you will just punish the Dems. No, it will punish all of us too. sorry, but you've got it seriously wrong. the "exact opposite of what i voted for" currently runs the country, just as they did five years ago, ten years ago...palin, o'donnell et al are idiots--so what? its just another dancing with the stars show while the planet is ravaged. this is neener-neener politics and it is distracting bs. we have now a proudly Reagan Whitehouse--take a look. P: I disagree. If what you say is true Social Security, Medicare and Medicaid would already be gone. The Dems have fought to keep them all these years. Don't be fooled. We will rue the day big time if the tea baggers take over. Their message to Baby Boomers. Drop Dead!